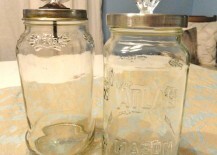 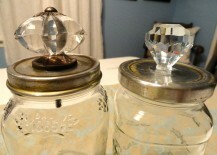 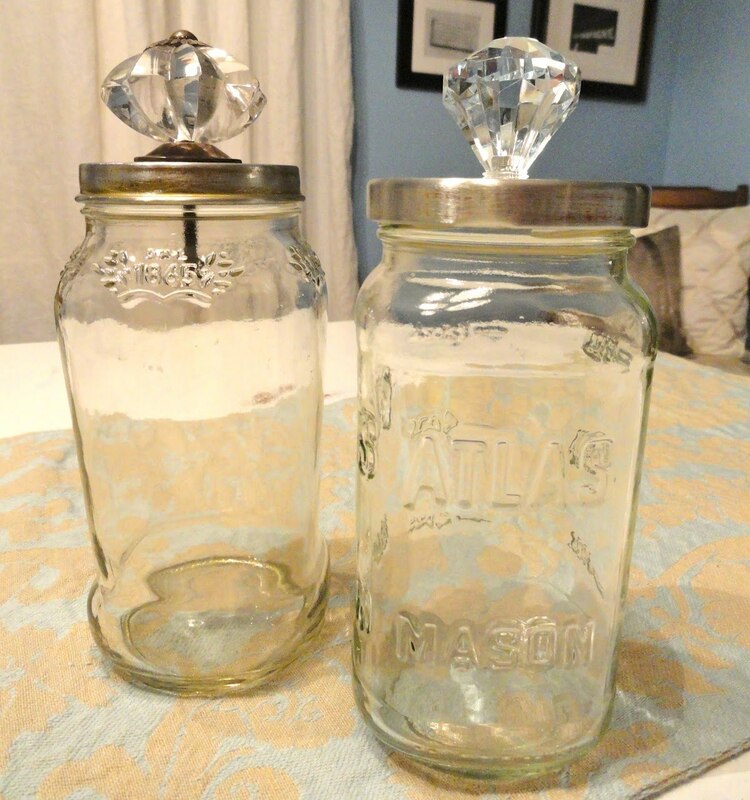 Add a hint of sparkle to otherwise mundane storage jars by following this tutorial over at Rachel’s Nest. 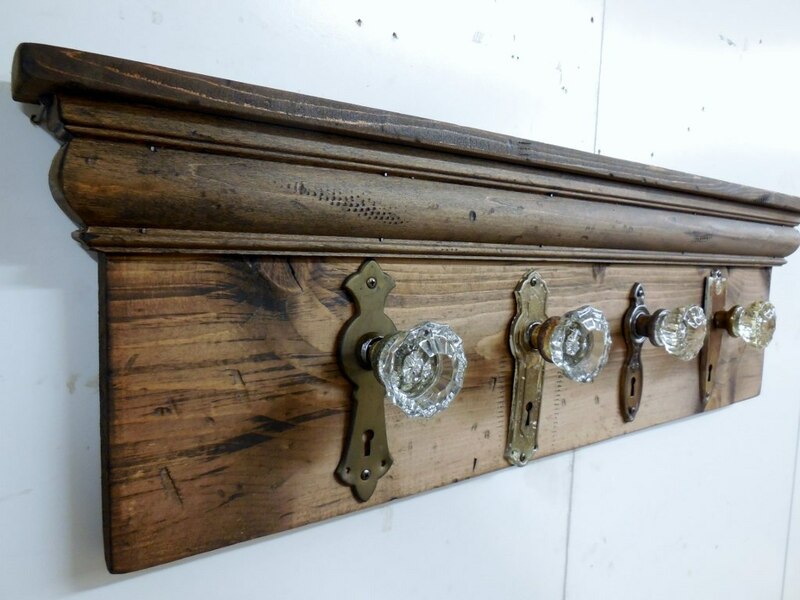 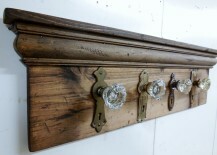 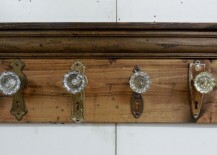 This would be a great way to display mismatched glass drawer pulls found at a neighborhood garage sale. 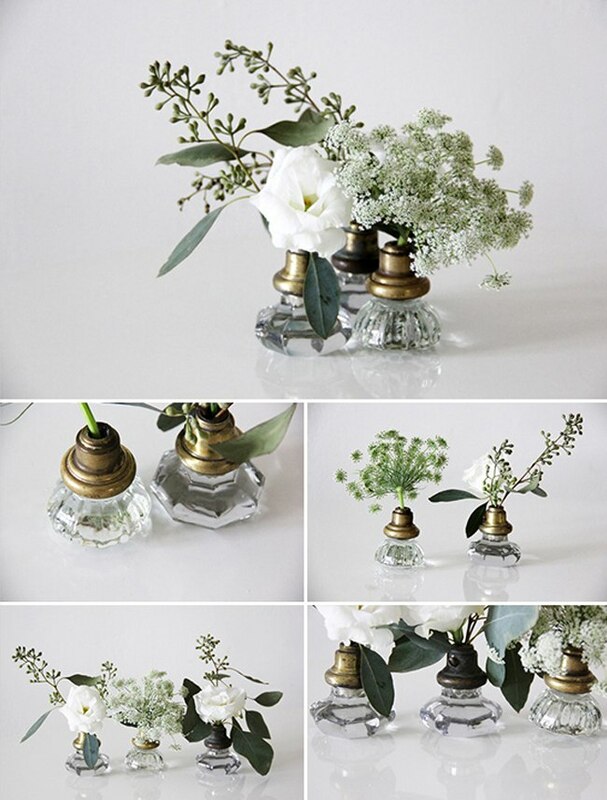 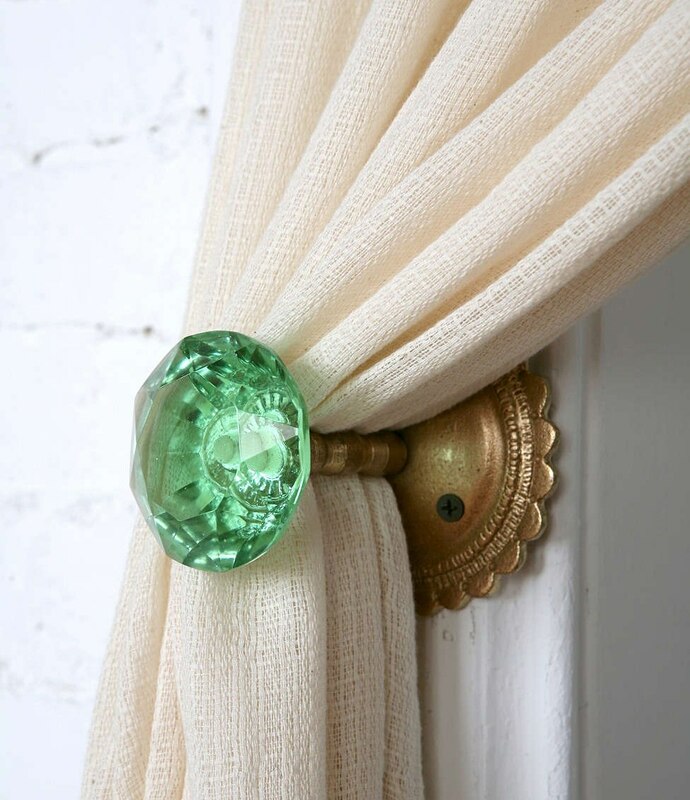 Since many prismatic door knobs have flat fronts, they’re perfect for repurposing as pretty photo holders. 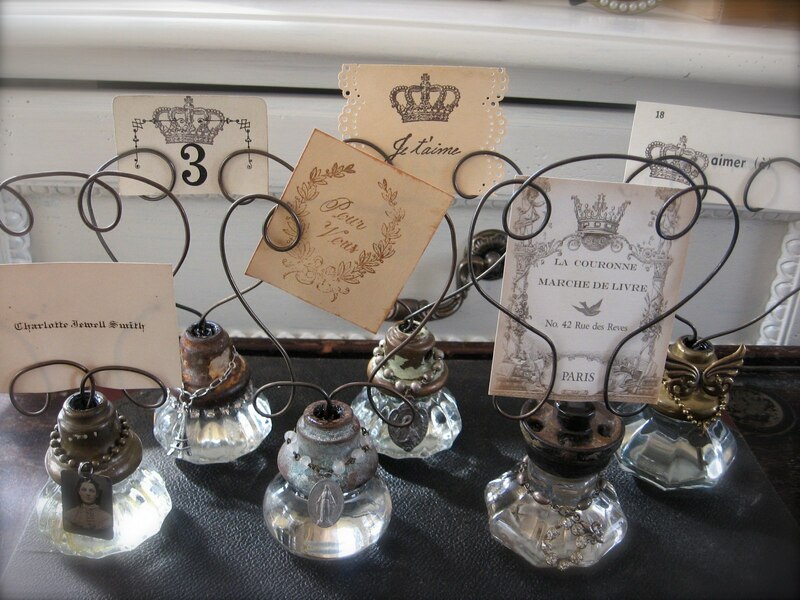 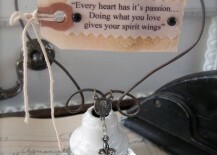 See how Petite Michelle Louise made hers using some wire, some vintage charms and other accoutrements. 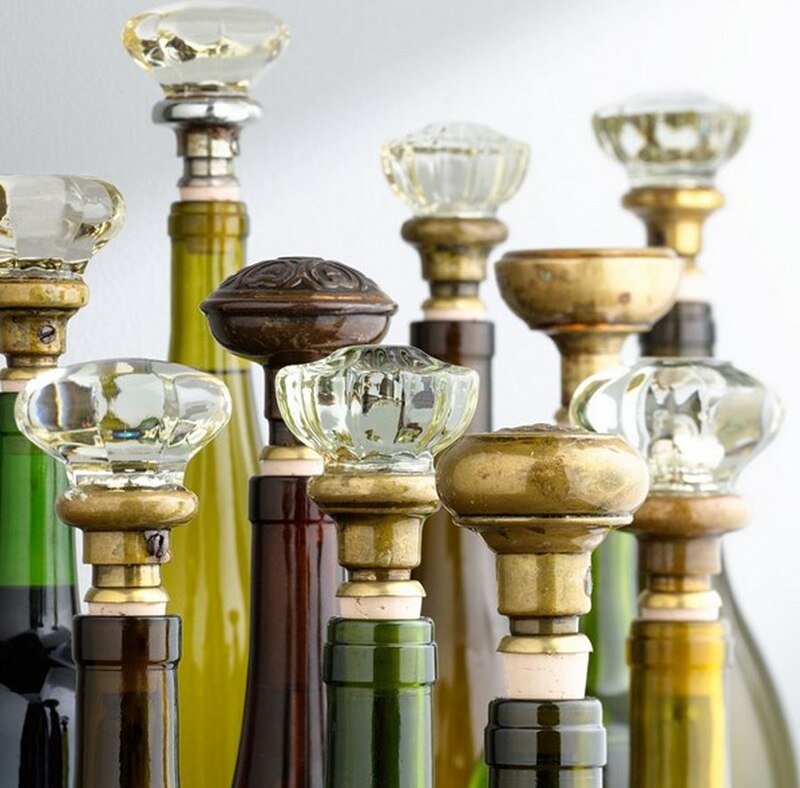 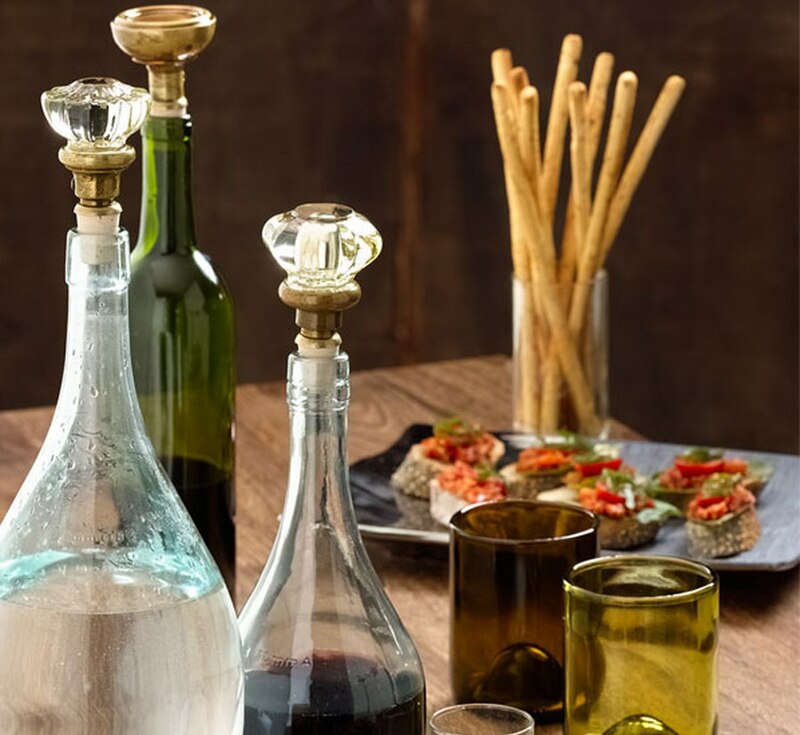 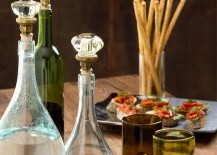 These cleverly named Knobstoppers are wine stoppers made out of vintage glass doorknobs! 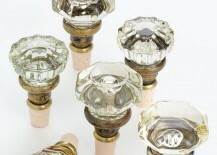 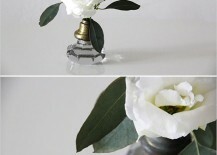 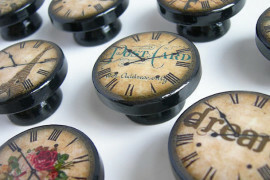 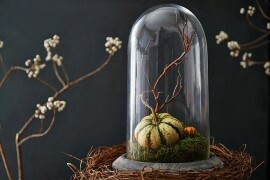 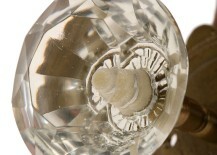 Skip the curtain ties and keep your drapes tucked behind these charming glass doorknob tiebacks from Urban Outfitters. 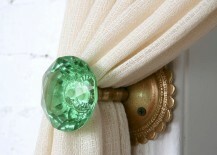 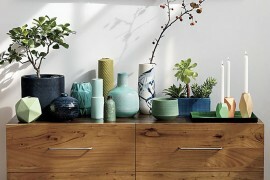 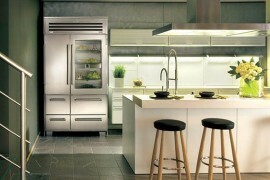 The watery green color is accented by an antique brass finish. 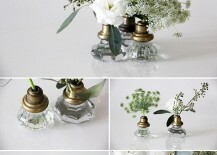 Take a tip from the Wedding Chicks and turn a crystal door knob into a sparkling vase following their easy DIY tutorial. 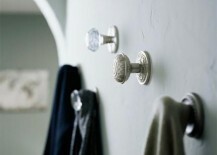 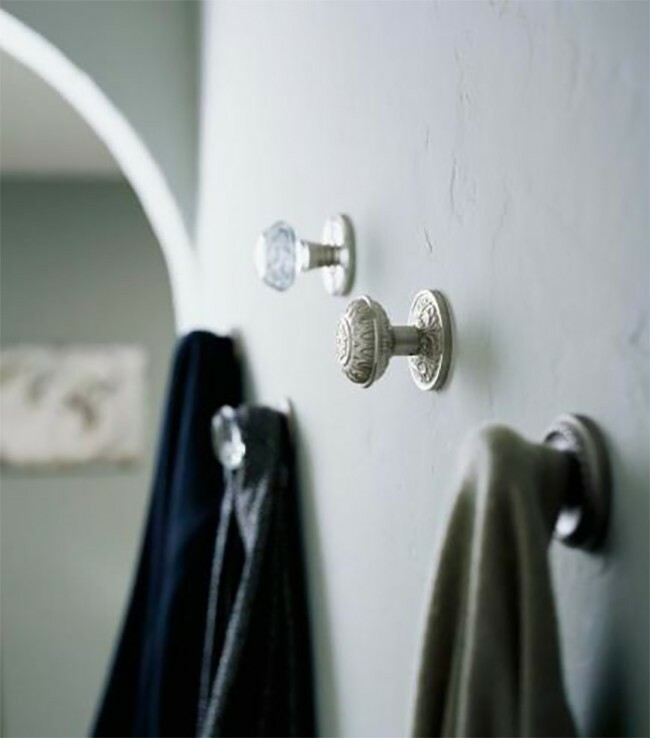 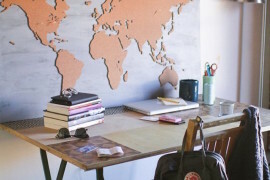 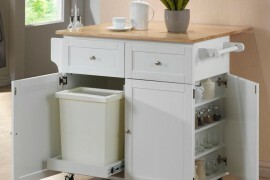 Think outside of the door and mount beautiful knobs right on your walls. 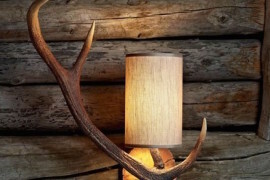 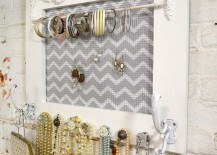 Use your newfound “hooks” to hang coats, hats or even photos. 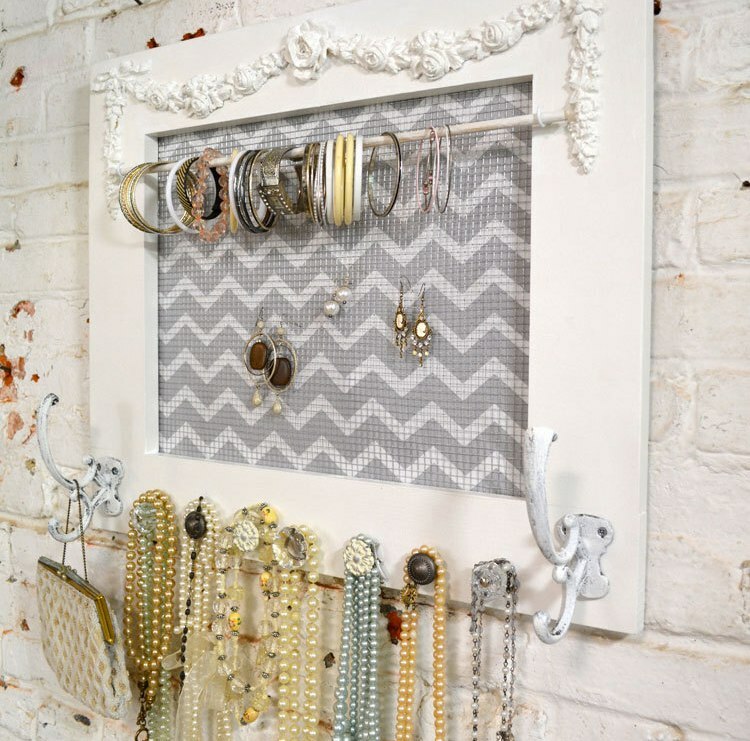 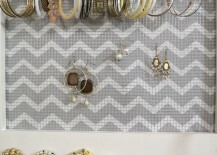 Tired of digging through your jewelry box to untangle your necklaces? 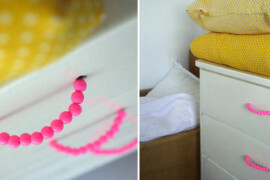 Make a handy bauble holder like this one from Painted Cottages and keep your accessories neat and tidy. 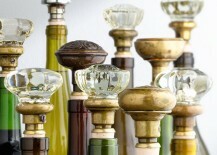 We hope these ideas give you a better “handle” on how to use decorative door knobs creatively in your home!